Fast, Professional & Affordable Anthem Locksmith Services	Our Locksmith Services Available 24 Hours a day, 7 Days a week! Anthem Locksmith 24 Offer Complete Range of Car Locksmith Services, From Car Lockout to Car Key Replacement Service Including High Security Keys! Call Now! Are You Looking for Professional Locksmith Service for Your Home? Anthem Locksmith 24 for The BEST Residential Locksmith Service in Anthem AZ. Available 24/7! When You Need Locksmith Service for Your Office/Business/Commercial Property Call Anthem Locksmith 24 ! Quick & Reliable Locksmith Anthem AZ Services! Locked Out? Lost Key? Need To Increase Your Security ASAP? Call US! We Offer Full Range of 24 Hour Locksmith Anthem AZ! Service in 25 Minutes Or Less! 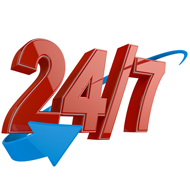 Anthem Locksmith 24 is here 24/7 for all your locksmith needs. 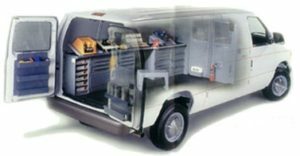 Our skilled technicians will be at your location in 25 minutes or less! When you need the most professional locksmith in Anthem AZ call Anthem Locksmith 24. Our skilled locksmith Anthem team can handle any type of lock and key project for your home, car, office, or business, we’ll be at your location in 25 minutes or less! All of our locksmith services provided by professional mobile locksmiths, we can complete all and any type of locksmith job on site! 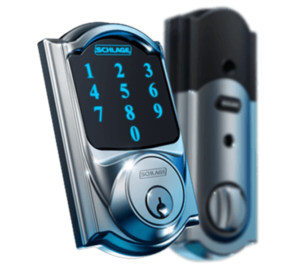 We use advanced locksmith equipment and will get the job done quickly and efficiently. All of our customer gets up to 150 days warranty for parts and labor. We know how stressful it is to be locked out of your home, lose your car keys, or forget your access code. Our licensed, bonded, and insured Anthem locksmith team are here to help! Anthem Locksmith 24 is your best choice for your next locksmith project! Most affordable locksmith rates in Anthem AZ! Feel Free To Call Anthem Locksmith 24 at: (602) 386-3777 With Any Question Or Request! We provide a full range of locksmith services in Anthem AZ and can assist with any type of residential, commercial, automotive, and emergency project. Our knowledgeable and experienced technicians will get the job done fast. We also offer the most affordable rates so you can get what you need without stress! Residential Locksmith Services: locks changing, high security locks, locks rekey, mailbox locks, home lockout services, garage door repair service, and more. Commercial Locksmith Services: lock changes and rekey, lockout service, panic device, heavy duty lock installation, master key system, custom needs, and more. Automotive Locksmith Service: including car key replacement, transponder keys, car lockout service, ignition repair and ignition replace service, and more. Emergency Locksmith Services: quick and professional 24 hour locksmith services for cars, homes, and commercial properties. FAST Anthem lockout service! Feel free to give Anthem Locksmith 24 a call 24/7, for any question or request.